Rahul is the Founder and Managing Partner of Baring Private Equity Partners India, and a Senior Partner and Global Board Member of Baring Private Equity Partners (BPEP) International. Rahul is also a member of the investment committee for Baring Vostok Capital Partners (BVCP), and has been an advisory board member of the ING Group in India. Rahul served as the chairman of Mphasis Limited (now a Hewlett-Packard subsidiary) and oversaw its transformation from a 120-employee, US$ 6 million revenue, loss-making company into a 33,300-employee company with ~US$ 1 billion in revenues and high free cash flow generating enterprise. In addition, he has served as chairman or board member for companies including RMZ Corp, JRG Securities (now Inditrade Capital), Secova, PharmARC, and Auro Mira Energy. He has also served as the chair of the audit and investment committee of HOEC, one of the largest independent oil & gas players in India. He has spoken at various conferences in India and overseas, and is a member of the ‘CEO Forum’ at The Economist corporate network, and a charter member of TiE (The Indus Entrepreneurs). Prior to joining Baring Private Equity Partners India, Rahul was a member of the Global and Emerging Market Asset Allocation Committees of Citibank in London. Rahul has actively invested in and managed funds across various asset classes including equity, currency, and derivatives in Latin America, Eastern Europe, Russia, Asia, and India. He oversaw and developed business start-ups across multiple geographies in different asset management businesses. Prior to moving to London, Rahul was then the youngest “Independent Treasurer” at Citibank, managing the treasury business for Northern India. He has been a public spokesperson on matters of economic policy and administrative efficiency, and has given guest lectures at several educational institutions including The Wharton School, Harvard University, and the Indian Institute of Management (IIM), Ahmedabad. Rahul holds a Bachelor’s degree in Commerce with Honors from the Shri Ram College of Commerce, Delhi University, and a Post-Graduate Diploma in Management (MBA) from the Indian Institute of Management, Ahmedabad. Munish is a Senior Partner with Baring Private Equity Partners India since May 2007. 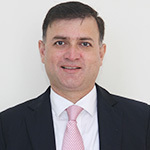 He heads the investment practice in Banking, Financial Services & Insurance (BFSI) and also serves as an Operating Partner. 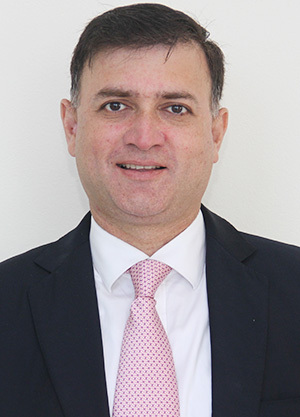 He has over 28 years of global experience in establishing and building businesses in the BFSI industry, having worked with Citigroup for 16 years as Managing Director across major markets (London, Europe, Singapore, Middle East, Africa, India). His roles ranged from global transaction services, risk management to asset-based finance, culminating as the Regional Head of SME and Retail mass markets for Asia Pacific. After his tenure at Citigroup in 2005, he joined a start-up bank in India called Yes Bank where as integral part of the management team and President of Business Banking, he was instrumental in building the mid-market business which aided the bank IPO. At present he serves as the Chairman of Infrasoft Tech Limited and Proactive Data Systems. He also serves as a member of the audit committee and remuneration and compensation committee of various portfolio companies. He was an elected member of the Executive Committee (EC) of the Indian Private Equity and Venture Capital Association of India (IVCA). Munish holds a Bachelor’s degree in Commerce with Honors from the Shri Ram College of Commerce, Delhi University, and an MBA from the Faculty of Management Studies, Delhi University. Varun leads the Mumbai office of Baring Private Equity Partners India, and heads the real estate, retail, media and telecom sectors. He led investments in RMZ Corp, Sintex, Vardhman Textiles, Redington, and ENIL, and worked closely with the consumer goods team on the investment in Marico. 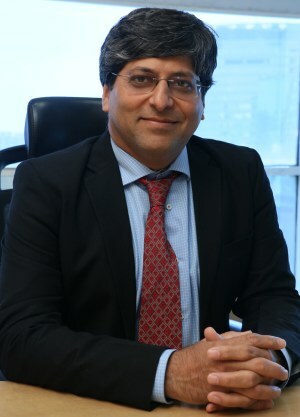 In his prior position, Varun was a managing director at Citigroup where he set up and headed its proprietary investment Special Situations Group in India. In 2010, his responsibilities were extended to Southeast Asia. He made investments across the capital structure of companies including senior and subordinated debt, preference shares, hybrids, and private and public equity, successfully investing a total of US$ 450 million over four years. Prior to that, Varun led the Corporate Finance & Capital Markets Group at Citigroup in India, where he led a team dealing with loan syndications, debt capital markets, structured trade finance, and securitization. Earlier in his career he was responsible for origination, credit, and relationship management for both financial institution clients (Citigroup) and corporate clients (ANZ Grindlays). Varun brings to his role multi-asset investing experience, risk management, product, credit, and relationship skills. Varun holds a Bachelor’s degree in Mathematics from St. Xavier’s College, Mumbai and an MBA from the Indian Institute of Management (IIM), Ahmedabad. 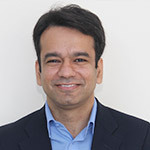 Keshav joined Baring Private Equity Partners India in 2005 and is a director on the boards of several portfolio companies, including Auro Mira Energy and Secova, where he assists senior management in defining and executing their inorganic growth strategy, as well as in implementing rigorous systems and processes for financial risk management. He has also been on the boards of Cethar, Integra Software Services, Molecular Connections, Maples ESM, and Sphaera Pharma. He brings to the Team several years of capital market experience both in India and abroad, and is responsible for designing and advising on exit strategies across portfolio companies for the optimal monetization of value. Keshav also leads the fast-moving consumer goods sector, identifying and executing new investment opportunities in this core sector of the economy. Going forward, Keshav will continue his association with Predecessor Funds’ investments and will act as an adviser to the Fund. Keshav is a seasoned private equity professional with experience over the entire investment life cycle from origination to exit. He has led minority stake investments and management buy-outs of listed and unlisted companies in India, and has realized successful exits in portfolio companies through company buy-backs, secondary block sales, and strategic sales. In his prior position, Keshav managed proprietary funds and also worked for Pioneer Asset Management in the U.S. where he was responsible for public equity investments across sectors. 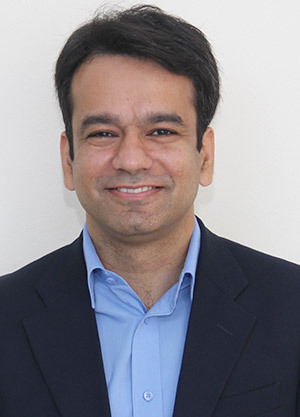 Keshav is a graduate from the University of San Diego (Dean’s List), and has completed the Advanced Management Program from Harvard Business School. He is a former top-ranked golfer in India, winning several national and international golf tournaments while representing the country. 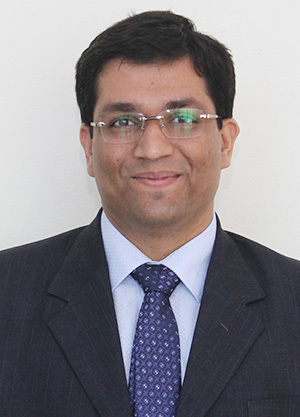 Amit joined Baring Private Equity Partners India in 2004 and is responsible for designing and advising on the investment strategy of the Firm in the healthcare, information technology, specialty chemicals, and education sectors. 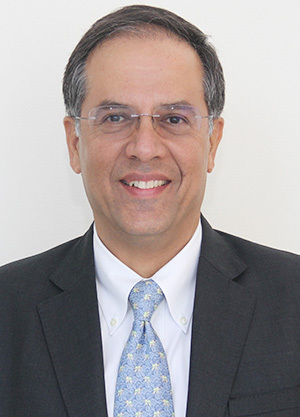 He has led investment opportunities in the healthcare sector, notably Shilpa Medicare, Indoco Remedies, Cadila, Lupin, Cipla, and Zydus Wellness, and co-led the strategic advice for investments in Manappuram Finance and Muthoot Finance. In addition to being responsible for top-down analysis in these sectors, he also assists in relationship management with the existing portfolio companies in these sectors. 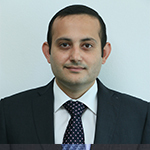 Amit has been with the Firm for more than twelve years, and as a participant in the life cycle of all three Predecessor Funds he has played a key role in the evolution of the Firm. He is a seasoned investment professional with experience across venture, growth, buy-out, PIPE, and listed investments. He has structured the Firm’s top-down research in the above-mentioned sectors, and has actively built the Firm’s brand and network in these sectors. 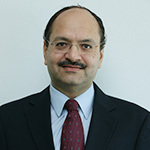 He is frequently quoted in the print media for his views on the healthcare industry in India. 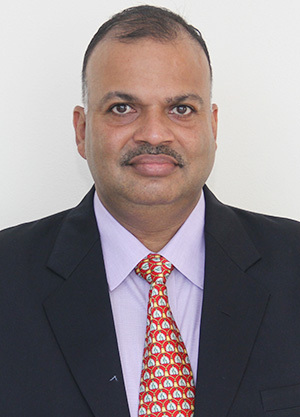 He is currently a board member of the Indian subsidiary of Sphaera Pharmaand has been a special invitee on the boards of Molecular Connections, PharmARC, ReaMetrix, and Parsec in the past. In his prior position, he worked in financial advisory and business consulting with leading Indian and multi-national companies. 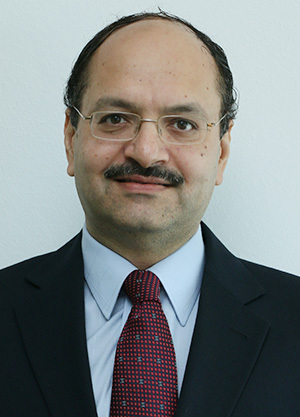 As a manager with the world’s fourth largest and India’s most influential credit rating, risk, and policy advisory company, CRISIL (a subsidiary of Standard & Poor’s), he was involved in advising private and public sector clients on equity divestments, financial restructuring, and business strategy. Subsequently he worked with Accenture – a leading global management consulting, technology, and outsourcing services company. As part of their India operations, he assisted public sector clients in India in implementing technology-led large-scale business transformations ranging from e-governance to e-commerce. Amit is an Engineering graduate from the Indian Institute of Technology (IIT), Delhi where he received the Director’s Silver Medal for being Rank #1 in his Department; he also holds an MBA from the Indian Institute of Management (IIM), Lucknow. Arul has been with Baring Private Equity Partners India since 2010 and covers real estate, media, telecom, internet and auto. 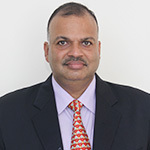 He has been actively involved in recommending the investments in RMZ Corp, Marico, Sintex, Bharat Matrimony and Homelane. In his prior position, Arul was with Citigroup for seven years, working in corporate finance and investment management roles. 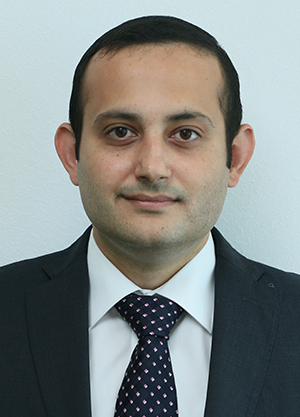 He was part of the Global Special Situations Group (GSSG) at Citibank for three years, focused on High Yield Credit investments in the Real Estate sector. He led origination, structuring, and monitoring for four investments aggregating over US$ 100 million with successful outcomes (such as Hyatt Regency - Chennai, Vrindavan Tech Park - Bangalore, Puri Constructions - Gurgaon). Prior to Citibank GSSG, he was focused on origination and structuring of leveraged finance and securitization transactions. Arul holds a Bachelor’s degree in Technology from the Indian Institute of Technology (IIT), Kanpur and an MBA from the Indian Institute of Management (IIM), Ahmedabad. 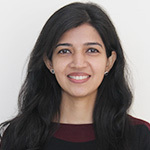 Mitali joined Baring Private Equity Partners India in 2007 and is the Chief Economist and Head of Deal Origination with respect to the investment banking community. In addition to this, she is also responsible for top-down analysis and investment opportunities in the oil & gas, building materials, power and capital goods sectors. She assists or has assisted in the supervision of TD Power Systems, NBCC, and Redington. 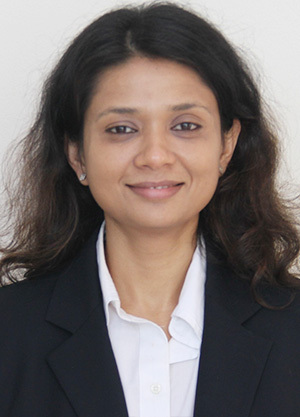 Mitali's primary responsibilities as the Chief Economist include macro and micro economic research, forecasting economic trends, preparing a macro summary on a quarterly basis and assisting in sector allocations. As part of her deal origination role, she is in charge of sourcing deals across all industries from various intermediaries such as investment banks, audit firms, advisory firms, and consultants. In the last six years, the deal origination team has sourced investment opportunities worth US$ 56 billion. 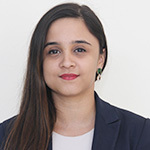 As a junior team member, she is actively involved in mapping global and local trends, technology evolution, tracking potential and current deals, as well as in evaluating investment opportunities in her sectors. In her prior position, Mitali worked with Portelet Management (now Moravia Capital AG) in Switzerland and India where she was involved in the distribution of private equity / venture / hedge funds and syndication of equity transactions for European funds and corporate clients. 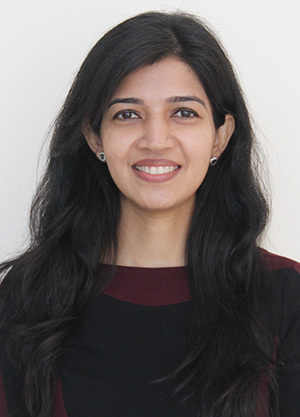 Mitali holds a Bachelor’s degree in Engineering (Electronics) from Mumbai University (First Class Honors), and an MBA from Cardiff Business School, UK. She has also completed a Diploma in Finance from the London School of Economics (LSE). Debanshi joined Baring Private Equity Partners India in 2009 and is responsible for top-down sector analysis, investments, and overseeing portfolio companies in the BFSI, payments and specialty chemicals sectors. She also evaluates investment opportunities in various sectors on a bottom-up basis. Her role includes industry studies, business due diligence, financial modeling, and providing recommendations on investment structures and interfacing as required. She has prior experience investing in private companies, structured debt, PIPE, and listed companies. She was actively involved in investments such as Manappuram Finance, Muthoot Finance, and Sintex Industries. 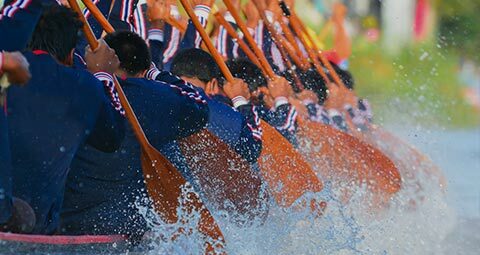 Debanshi is involved with strategy, operational reviews, supervising expansion plans, capital allocation, business expansion, diversification, and branding, among other portfolio monitoring areas. She is the junior portfolio supervisor for JRG Securities (now Inditrade Capital), Manappuram Finance, and Muthoot Finance. 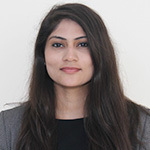 In her prior position, Debanshi was one of the original team members of Goldman Sachs’ Investment Banking practice in Mumbai, where she spent five years working across general manufacturing, large industrial, information technology, commercial banks, and other sectors. 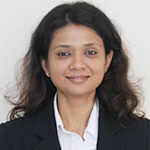 She has worked on mid-market M&A deals in the media and outsourcing space such as Walt Disney-UTV’s acquisition of E-serve and other companies, and has helped with raising over US$ 1 billion capital for five large business conglomerates in India, including Tata Steel, ICICI Bank, Axis Bank, and Infosys. 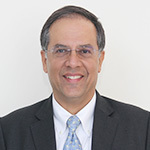 Prior to Goldman Sachs, Debanshi spent four years with Ernst & Young audit practices, including a three year internship, and conducted statutory audits and internal control assessments for mid-cap listed and private companies, including Aurobindo Pharma, Kirby Billing Systems, Rasi Seeds, Pramati Technologies, Vanenburg Software, Juno Online and others. Debanshi is a qualified Chartered Accountant with a Bachelor’s degree in Commerce from Osmania University. In addition, she completed the Level II CFA exam conducted by the CFA Institute, USA. Karishma joined Baring Private Equity Partners India in 2008. Her focus industries are pharmaceuticals, diagnostics, medical devices, and hospitals. Within these industries, she is responsible for maintaining a calling plan for direct outreach to companies, mapping the global and domestic trends in these sectors, tracking financial performance of listed companies, maintaining the top-down knowledge base of the Firm, assisting in evaluation of investment opportunities, and developing valuation models. 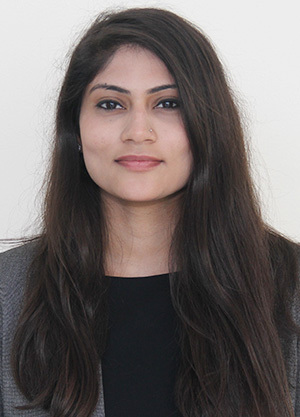 Karishma is also currently junior account supervisor for Sphaera Pharma, where her responsibilities include supporting management in the execution of key strategic initiatives, and monitoring performance on a regular basis. 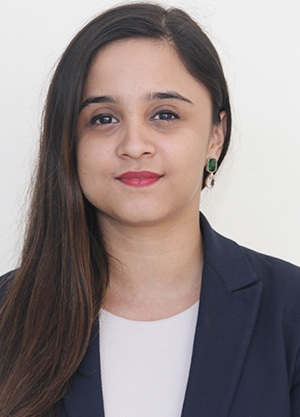 She is also the brand manager, responsible for all brand-building, marketing, corporate communication, and public relation initiatives in India. 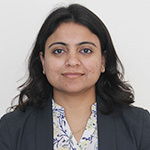 In her prior position, Karishma worked in fixed income at Helix Financial (a subsidiary of the Blackrock Group) developing valuation and analytics solutions for external clients such as Wells Fargo and Citigroup. She was responsible for modeling and reviewing deals in mortgage-backed securities and collateral debt obligations. She has experience working in venture growth capital and listed investment opportunities. Karishma graduated with a bachelor’s degree in Economics with Honors from Delhi University, and holds an MBA from the Institute for Integrated Learning in Management, in Delhi. Jugal joined Baring Private Equity Partners India in 2016 and is responsible for accounting, compliance, finance, and risk management systems and processes. 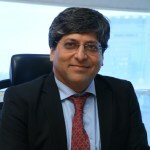 In his prior position, he worked at Kotak Life Insurance analysing the financial institutions group credit life insurance policies, he also worked for 3 years at Deloitte Haskins & Sells in the Audit & Assurance department, participating in several statutory and tax audits with a special focus on financial institutions. 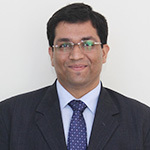 Jugal is pursuing Chartered Accountancy and holds a Bachelor’s Degree in Commerce from Mumbai University. Rama joined Baring Private Equity Partners India in 2008 and is responsible for accounting, compliance, finance, and risk management systems and processes. In his prior position, he worked for more than 8 years at Glaxo Smithkline Consume Healthcare Limited in the Taxation department, participating in Indirect tax and Direct Tax with a special focus on Litigation Management. Rama is a Company Secretary, MBA (Part time), B Com & PG Diploma in Public Relation from Bhartiya Vidya Bhawan, New Delhi. Somya joined Baring Private Equity Partners India in 2015. 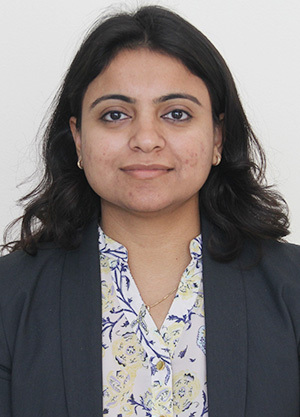 She assists in portfolio management of the Healthcare investments and in top-down research and deal evaluation for the Healthcare, Information Technology and Consumer Durables industries. She studies the broader technology, regulatory and competitive trends of these sectors and applies industry-wide filters to identify future investment opportunities. She also helps the Chief Economist with macro analysis and reporting. Somya graduated from Delhi University with a Bachelor’s degree in Economics with Honors. Sukruti joined Baring Private Equity Partners India in 2015. She focuses on the fast moving consumer goods (FMCG) industry. She reviews the performance and competitive positioning of portfolio companies, as well as other industry leaders. She is responsible for the analysing and tracking consumer trends and consumption patterns. She applies industry-wide filters to identify future investment opportunities. She is also responsible for tracking portfolio companies in the renewable energy & power sectors, and assisting on the operations side. Sukruti graduated from Delhi University with a Bachelor’s degree in Economics with Honors.